Mauka wildfires impact makai waters. Many people don’t realize that wildfires can have long-lasting impacts that affect our watersheds, drinking water, and coral reefs. After a wildfire, soils are left bare and especially after more intense wildfires, those soils can become hydrophobic or “scared of water.” Rainfall events that frequent our islands can wash away thousands of years of top soil into our waterways, taking along with it trash, debris, chemicals, and other pollutants, eventually smothering our fragile coral reefs. 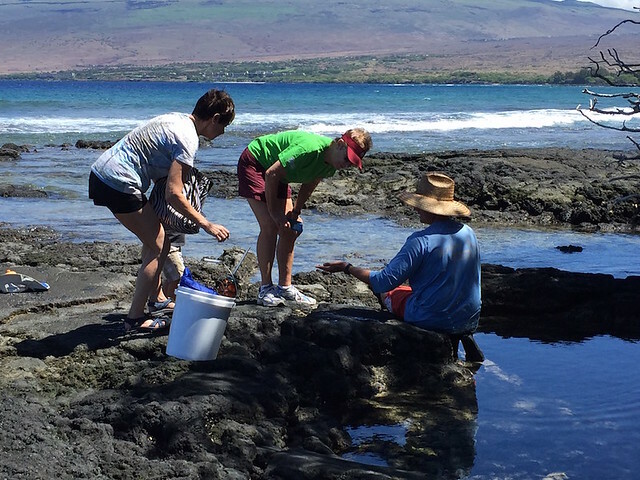 Chad Wiggins points out species living in Puako's tidepools. On September 23, a few HWMO donors from the Firefighter Chili Cook-Off who bid on experiences at the silent auction joined expert marine naturalist Chad Wiggins and HWMO Executive Director and Malama Kai Foundation’s Ocean Warriors program founder, Elizabeth Pickett in Puako. Together, they explored Puako’s diverse and ecologically important tide pool and reef systems. During the tide pool exploration portion, they learned about the plants and animals that live at the intersection of ocean and land while identifying local intertidal organisms. For the reef exploration portion, the attendees learned about coral reefs and the current coastal challenges such as post-fire erosion that threaten them. Of course, we also focused on actions we can take to protect our shorelines, including preventing wildfires! HWMO team getting ready for the bocce ball tournament. Photo credit: Waikoloa Dry Forest Initiative. We, at HWMO, like to help our friends out whenever and wherever we can, even if it means facing some of the toughest bocce ball players on the island. 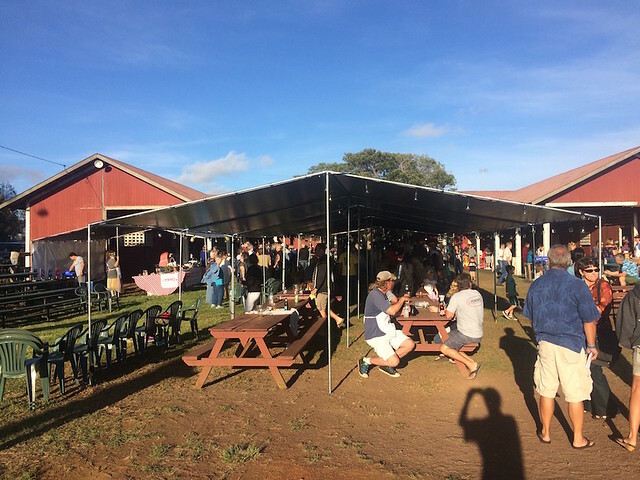 On what started as a beautiful sunny day at Anna’s Ranch and concluded with a downpour of rain for the final games on September 10, Waikoloa Dry Forest Initiative held its first ever Bocce Ball Tournament fundraiser. 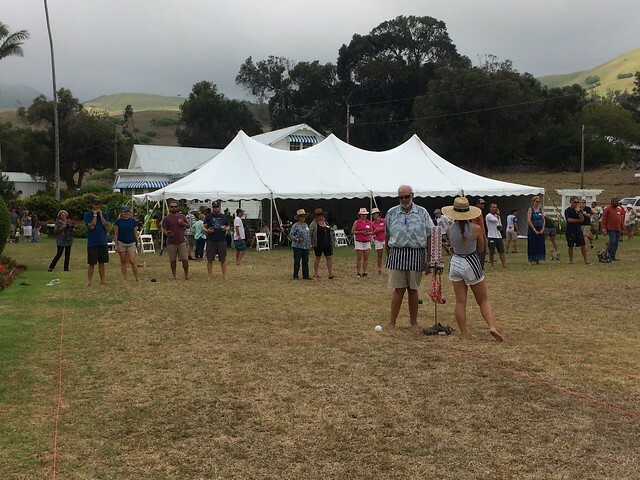 Teams from all over the island battled it out for bocce-rolling glory and an amazing cause to preserve and restore the precious native forests of Waikoloa. Bocce, a lawn-bowling game rooted in similar ball games that date all the way back to the Roman Empire, is a game that everyone can enjoy and participate in. However, there are certainly those who rise above the rest in skill and competitiveness. HWMO's bocce team in its third game fell to a very skilled team, but not without a fight. HWMO, to support WDFI, put together a team with beginner players from the staff and board: Melissa Kunz, Pablo Beimler, Tom Loomis, and Dave Faucette. After losing in the first game of the double-elimination tournament, HWMO resurged with a victory that came down to inches and could have gone either way. In the third game, however, we were no match for some very skilled players on the opposing team and were thus eliminated. Even though we would have loved to make it further in the tournament, we were quite content with our finish after watching the later rounds and the skill and mastery displayed by the final teams. And, of course, we were happy to support our friends from WDFI and be a part of such a fun event. For over a decade, HWMO has been tasked with the mission of protecting Hawaii's communities and natural resources from the growing threat of wildfire and its impacts throughout the state. We've made immense strides over the past few years towards reaching our goals even as a small non-profit organization with no more than 5 staff members at any given time. We've been fortunate enough to secure grant funds for our projects, however, our operations and outreach capabilities rely on your continual support. 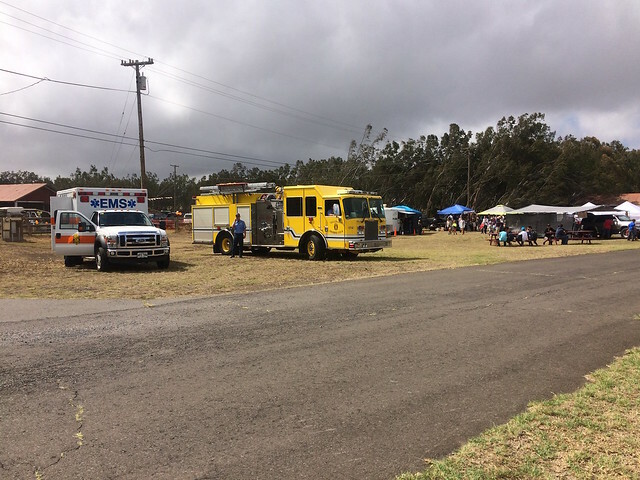 To help keep our engine running, we held a fundraiser and outreach event at Denny's Restaurant in Kona on Sunday, April 19th. We teamed with Rotary Club of Kona and Denny's to host Project Compassion, a program that holds monthly events that raise awareness for many Hawaii-based non-profits and thousands of dollars to support their programs. Future Wildland Firefighters blend right in with the HFD engine. Goat Dozer Petting Zoo helped us connect kids to the idea that goats can reduce wildfire hazards around communities. Before customers entered or left the restaurant, they had the opportunity to stop by our informational booth where we passed out Ready, Set, Go! programs and gave out Kaleo the Pueo hats and T-shirts to generous donors. We even held a silent auction that featured some great items: Red Water Café dinner certificate for two, KTA certificates, Leche de Tigre merchandise and concert tickets, Snorkel Bob's merchandise, and beautiful coral reef artwork from Waikoloa native Rick Turnbow. Our staff, Board, and volunteers (some of whom are pictured above) would like to say mahalo to all who helped contribute to our efforts! In total, we made $2,500 in donations thanks to generous customers, silent auction bidders, and our incredible sponsors: Adventure X Boat Tours, Laughing Stock Farms, Red Water Café, and Snorkel Bob's. Thanks also to our silent auction contributors: Red Water Café, KTA, Snorkel Bob's, Leche De Tigre, and Rick Turnbow. A big mahalo also goes out to Hawaii Fire Department, Big Island Goat Dozers, Rotary Club of Kona, Project Compassion's Holly DeGeal, Denny's Restaurant and our hard-working staff and Board members who helped make the night a success!